We welcomed Dr. Mackenzie Day to the program for this one segment 61 minute discussion regarding ghost dunes on Mars and an analog in Idaho, plus sand dunes in general around the solar system and even on Earth. Dr. Day started the discussion with an explanation of Martian ghost dunes. You can find many articles on the subject with subsequent work on the items by our guest. That said, here is one good article to serve as a starter: http://earthsky.org/space/ancient-ghost-dunes-remains-of-once-active-barchan-dunes-discovered-on-mars. During a significant part of our early discussion, Dr. Day talked to us about all aspects of ghost dunes on Mars and told us that Idaho also had similar ghost dunes spending time on both locations. In fact, other than on Mars and in Idaho, no such ghost dunes have been found anyplace else. We talked about exploring the ghost dunes, finding possible traces of past life in the dunes, what it would be like for a rover to explore inside a ghost dune and climb back out, plus there was even a listener question about using drones to explore ghost dunes. 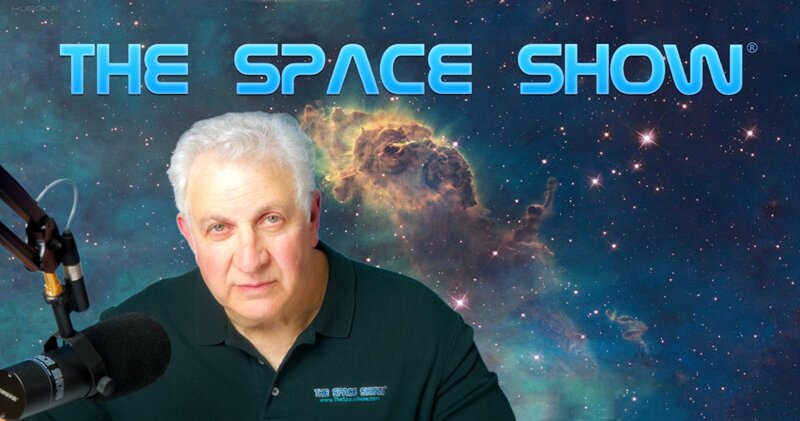 Don't miss what our guest said about the use of drones and the thin Martian atmosphere. We did follow up with Dr. Day about the ghost dunes in Idaho and how they were similar to those on Mars. Also, we asked why no other ghost dunes had been found elsewhere on Earth let alone other places in the solar system. This led us to a discussion about sand in general, sand dunes, and the color of sand, both here on earth and on foreign bodies. Dr. Day even took a listener question asking why such dunes were not on the Moon. Don't miss her reply to this listener. At my request, she also explained why sand was pink in a specific southern Utah park and why the sand was white at White Sands in New Mexico. We talked about exploring the Martian ghost dunes for signs of past life and more, plus the methodology to do such exploring. This proved interesting. We talked about rover exploration and rover limitations like climbing out of the dune in a nearly vertical climb. More was said about the drone idea to fly above a ghost dune to get quality photos. As you will, easier said than done. I also asked our guest to compare searching Mt. Sharp with Curiosity with exploring a ghost dune with a rover or even a human. For sure you don't want to miss what Dr. Day said about this comparison. A big part of our discussion focused on the value of human exploration on Mars compared to robotic exploration. For sure humans could do much more much faster but at a substantially increased cost and risk. One question I had was about determining the added value of the human exploration compared to robots doing the job. Let us know what you think about this topic by posting on our blog. Listener Kirk sent in a note about a 2013 Geomorphology paper. Here is a link to the paper which formed the basis of Kirk's questions and Dr. Day's response: http://www.dmzone.org/papers/Gourroncetal2014_VM.pdf. The subject was Mars fossil ice but listen to the question and Dr. Day's response. Kirk called and had a meaningful discussion with our guest. Don't mis any of it as it was most informative. Listener Jake in New Mexico had a question about Mars basic geology text books for undergrads, say Martian geology 101. He wanted to know by how much and how quickly that book might need significant updating once human explorers set foot on Mars. Dr. Day had much to say regarding this question and how rapidly our Mars information was changing and how much faster it would probably change as a result of human exploration. Before the show ended, our guest was asked about new information coming out of the Univ. of CO at Boulder and Northern Arizona State regarding the low quantity of greenhouse gasses on Mars which might very well prevent terraforming Mars. Before the show ended, a listener asked Dr. Day about her personal excitement and passion for Mars, her thoughts on returning to the Moon first, if she was around at the time of Apollo and did she believe we actually went to the Moon. Don't miss what Dr. Day said in response to Jane's questions. This study by Dr. Bruce Jakosky at Boulder has been widely reported online. Here is a good Space.Com article on it: https://www.space.com/41318-we-cant-terraform-mars.html. Dr. Day offered us concluding comments. In addition, post your comments/questions on TSS blog for this show. You can reach Dr. Day through her UCLA faculty page or me.